I’ve long admired MartinLogan ESLs for their elegant sound and equally elegant looks, but when ML introduced their economical Motion line of dynamic speakers with Folded Motion tweeters, I worried that the days of high-end ESLs from MartinLogan might be numbered. I needn’t have -- they continue to produce several lines of hybrid ESLs, including their current flagship, the Neolith, which costs $79,995 USD per pair. 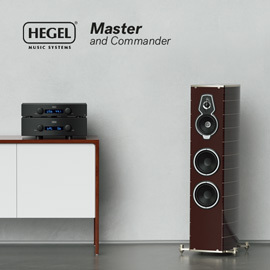 For those who don’t have that much money to spend on a pair of Neoliths but who still want a high-performance hybrid ESL, ML’s Masterpiece line now comprises seven models, including four floorstanders below the Neolith, the most expensive of which costs $24,995/pair. The latest Masterpiece, and the subject of this review, is the line’s least expensive model: the Classic ESL 9, for the relatively affordable price of $6495/pair. The AirFrame Blade, MartinLogan’s name for the panel’s frame, is an extrusion of aluminum alloy that ML claims is ultrarigid -- and indeed, it felt extremely solid, as did the woofer enclosure. The Curvilinear Line Source (CLS) electrostatic panel is, as its name suggests, curved to provide better dispersion. The perforations in the stators -- the metal grilles on either side of the thin, transparent diaphragm of polymer -- are made using ML’s MicroPerf technology, which is claimed to expose twice as much of the diaphragm’s surface area as the holes in traditional electrostatic stators. In the woofer enclosure are two drivers with 8” aluminum cones: one each on the front and rear panels, positioned asymmetrically -- the rear cone is placed slightly higher. In the rear of the woofer enclosure is what ML calls an “ultra-low turbulence” slot port, and both woofer grilles are removable. The electrostatic driver is crossed over to the woofers at 380Hz by MartinLogan’s high-quality, Vojtko-voiced crossover, which includes polypropylene capacitors, air-core coils, and low-DCR, steel laminate coils. Depending on the floor surface, the Classic ESL 9 can stand on spikes or plastic feet (both are provided), and has two sets of five-way binding posts, for biwiring or biamping. A wall-wart DC power supply is supplied for the electrostatic diaphragm; each speaker needs to be plugged into an AC outlet. Compared with other speakers I’ve had here, positioning the Classic ESL 9s to sound their best proved a bit fussy. Following MartinLogan’s instructions for toe-in angle, I was able to get the speakers to image accurately with little effort, but found that their bass response was quite sensitive to positioning. Moving the speakers a few inches toward or away from the room’s front wall resulted in noticeable differences in the low frequencies. When I positioned the ESL 9s with their front panels in the same plane as I usually have other speakers in my room, the midrange clarity was stunning but the bass was a little thin. Pushing them back about 6” resulted in bass that was full and rich, but somewhat lacking in definition. When I’d zeroed in on just the right positions for optimal bass response, the rear panels of these relatively deep speakers were a little less than 2’ from the front wall. For much of my listening, I drove the Classic ESL 9s with a Bryston 4B3 power amplifier connected to an Oppo BDP-105 universal BD player used as both DAC and preamp. I also used my reference Anthem Statement D2 surround-sound preamplifier-processor and Statement M1 mono power amplifiers, as well as an Anthem MCA 525 five-channel power amp. I played a few discs in the Oppo, but my main source component was an Asus VivoBook X200MA laptop computer running Windows 10 and foobar2000. The cables were my usual assortment from Analysis Plus, AudioQuest, and Nordost, with power cords and power conditioning from Blue Circle, Essential Sound Products, and ZeroSurge. Although the MartinLogan Classic ESL 9s required a bit more effort to set up in my room than most other speakers, it was worth it when those efforts were rewarded with phenomenal sound quality. The midrange was ultraclear, revealing details in recordings that I’d never heard before, and the highs were equally clean, and never harsh. The bass was also very deep and fast-hitting, without bloat. “Rock You Gently,” the first track of Jennifer Warnes’s The Hunter (SACD, Sony 10073), is a densely recorded track that can sound congested through systems that can’t sort out its multiple layers of synthesizer and percussion. Through the Classic ESL 9s, not only were the many complex rhythms cleanly reproduced, but Warnes’s pristine voice soared above them with stunning authority and clarity. Her voice was slightly forward on the soundstage, with massive drum beats and synth chords placed precisely behind it, filling most of the stage with sound. “Somewhere, Somebody” is a more straightforward recording of bass, percussion, and male and female voices, and the transparency of sound from the Classic ESL 9s was breathtaking. Every syllable sung and breath taken by each singer was smoothly and perfectly reproduced in space before me and contrasted with the quick articulation of the bass, everything emerging from an absolutely noiseless background. The low frequencies in “Way Down Deep” exhibited excellent definition and pitch specificity, and each drumbeat had a very fast attack followed by a prolonged, wavering sustain -- even the very deepest notes were easy to differentiate from one another. The Randy Newman Songbook (24-bit/88.2kHz FLAC, Nonesuch/HDtracks) is a wonderful collection of acoustic performances by singer-songwriter Randy Newman of 55 songs from his extensive catalog. For the most part, the closely miked Newman is accompanied by only his piano, and recorded with little ambience -- the sound is very direct and present. The palpability of his voice in “I Love L.A.” accentuates the delicious irony of his words, and the piano, though confined to a relatively narrow space between the speakers, sounded ultrasolid and dense. In fact, in an instrumental version of “When She Loved Me,” originally performed by Sarah McLachlan on the soundtrack of Toy Story 2, the deep thumps of the pedals and the piano’s lower register gave the instrument a presence so visceral that I could feel it as much as hear it. The Classic ESL 9’s pristine reproduction of the raw, genuine sound of these minimally processed recordings enabled me to really connect with these songs. And if it’s palpable voices you crave, I can’t recommend strongly enough Adam Cohen’s We Go Home (16/44.1 FLAC, Rezolute Music). A longtime favorite of Doug Schneider’s, this album took me a while to warm up to, but it’s a real keeper, and has become one of my essential reference recordings. The lightly plucked guitar strings and Cohen’s tactile voice at the beginning of “Song of Me and You” made me instantly take notice of the Classic ESL 9s’ midrange clarity, and their ability to reproduce the singer’s voice to sound as if he were standing there in my room. There was just enough force behind the vocals, and ease in the sound of the strings, to let this music flow effortlessly. Cohen’s melancholy, languid singing in “What Kind of Woman” was even more palpable -- and although this is an acoustic album, the bass was well served on cuts such as “Love Is,” both piano and drums hitting hard and fast. I thought the Classic ESL 9s would easily beat my reference speakers, KEF’s R900s ($4999.98/pair), in terms of throwing up a wide, utterly transparent soundstage populated with ultrasharp images. But when I switched back to the KEFs, they fared quite well in comparison. The MLs did let me more easily pick out the image outlines of the instruments in “Misguided Angel,” from the Cowboy Junkies’ The Trinity Session (16/44.1 FLAC, RCA) -- and even though Michael and Margo Timmins’s voices were closer together than they’d been through the KEFs, they still managed to sound more distinct through the MLs. But while the MLs produced more precise images, the KEFs could present a deeper soundstage that gave a better sense of what it might have been like to have been there in Toronto’s Church of the Holy Trinity the night of November 27, 1987, when this album was recorded. But with their more precise imaging, the ML speakers made it easier for me to form a mental image of these musicians huddled around a single mike, as I’d seen in a photograph taken during the recording session. The ML could also dig deeper than the KEF. The very deepest bass in “Rock You Gently,” from the Warnes disc, was definitely less pronounced through the KEFs, making its sound seem a bit lightweight in comparison -- it was missing the song’s subsonic foundation. The KEF’s lack of subterranean bass on this track tended to make Warnes’s voice more prominent in the mix -- which was not a bad thing, as even the MLs couldn’t match the KEF’s ultrasmooth, ultrarefined midrange. In songs that have plenty of good but not superdeep acoustic bass, such as Adam Cohen’s “Love Is,” it was harder to tell the difference between the two speakers -- but I still give the nod to the Classic ESL 9, which sounded slightly faster and tighter. Like any high-performance speaker, the Classic ESL 9 needed a capable power amp to sound its best. While it sounded very good with Anthem’s MCA 525 five-channel amp, which pumps out 225Wpc, it established a wonderful synergy with the dual-mono, 300Wpc Bryston 4B3, whose iron grip locked images into focus and controlled the bass of the speakers’ four passive 8” woofers. In fact, the MLs sounded so good with the Bryston amp and Oppo BDP-105 that fellow SoundStage! Network writer Vince Hanada proclaimed this combination the best-sounding he’d ever heard in my room. I tended to agree with him -- until I hooked up the Classic ESL 9s to my Anthem Statement D2 surround-sound processor and M1 amps and ran Anthem Room Correction. I usually don’t run that software with speakers I’m reviewing -- I like to hear what the speakers can do on their own, and make comparisons with other speakers working in the same way. Also, I was a little wary of how ARC might deal with the ML’s electrostatic panels, which radiate sound to front and rear -- but thought it might be able to improve the bass a bit. I gave it a shot. Well. Not only did ARC tighten the Classic ESL 9’s bass, it cleaned up the speaker’s already crystalline midrange, and made the transition from upper bass to lower midrange absolutely seamless, resulting in a totally smooth and coherent sound, from the deepest bass to the highest highs. That coherence was at once crystal clear yet very solid. The opening, screeching guitar riff of “White Wedding (Part 1),” from Billy Idol (24/192 FLAC, Capitol/HDtracks), tracked precisely across the soundstage, and the sound had a specificity that I hadn’t experienced before in my system. The lead and backing vocals were very distinct from each other, and the pulsing bass line was easier to follow -- the bass guitar sounded gloriously big and bold, and each whack of the kick drum punched me solidly in the gut. Adele’s voice is mixed very prominently in “Hello,” from her album 25 (16/44.1 FLAC, XL Recordings) -- through the Classic ESL 9s it certainly didn’t sound subdued, but neither was it exaggerated when I played this track at room-filling volumes. In fact, it soared beautifully, with just enough crispness to convey Adele’s amazing vocal power -- a slight vibrato conveyed her feeling, but never lost its composure or exhibited any extra sibilance. The piano in this track starts out fairly slowly and restrained, but when the chorus kicks in just over a minute later, it pounds like a sledgehammer. The depth and weight of the piano were astounding through the Classic ESL 9s, with a rock-solid image of the instrument between the speakers, and the rest of the room absolutely locked into the low frequencies. Some might argue that the sound lacked a little warmth, but I found it extremely neutral, and its overall lucidity and weight were astonishingly good. Adele’s voice was even more palpable in “Remedy” and “When We Were Young,” but I couldn’t stop listening to “Hello” -- through the MartinLogans, there was an amazing balance to the sound that made listening to this power ballad an absolutely thrilling experience every time. At $6495/pair, the MartinLogan Masterpiece Classic ESL 9 is an incredible bargain. It’s very revealing of source components, and requires a good amplifier to sound its best -- but what high-end speaker doesn’t? Taming its ample bass will require careful positioning and/or a very good room -- or, in my case, good room-correction software such as Anthem Room Correction. If you can provide one of those, then the Classic ESL 9 should reward you with amazing sound quality comparable to that of many speakers costing twice or even thrice its price. After listening to and thoroughly enjoying the nearly flawless performance of the Classic ESL 9s in my system, I can’t imagine living without them. Warranty: Five years parts and labor (with registration).